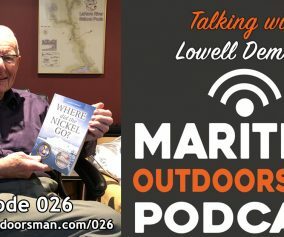 In this episode of The Maritime Outdoorsman, host Dave Doggett talks with Chris Bower about Geocaching. This “fun for the whole family” activity is steadily growing in popularity all over the globe. 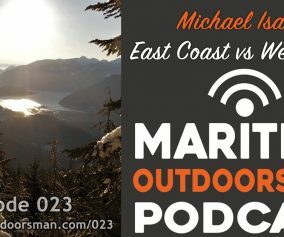 Chris tells Dave about how he became involved and addicted to Geocaching as well as answers some questions that will help you better understand this exciting hobby. www.geocaching.com – Most popular website on the Internet for Geocaching. Geocaching and fishing actually work well together. Got into geocaching last year and began a series of hides that are located near lakes and brooks I’ve fished and named the caches after the flies I’ve been successful with at those locations. Have two so far (The Adams and the Royal Wulff). More to come this spring and summer. Loads of fun and great activity to do with the family. Listened to the podcast early this morning. I find it wierd listening to my own voice sometimes but I guess I didn’t do too bad. 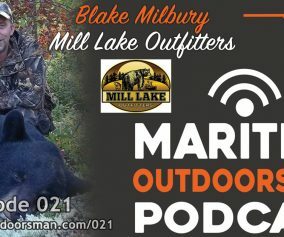 lol Thanks again Dave for giving me the oportunity to be a small part of the Maritime Outdoorsman podcast. Looking forward to future episodes. Thanks Chris for being a guest on the show. I too am not big on hearing my own voice but I guess we’ll just have to get over it lol 🙂 Take care and thanks again Chris. I use my gps and iPhone for Geocaching …. There is an free app. 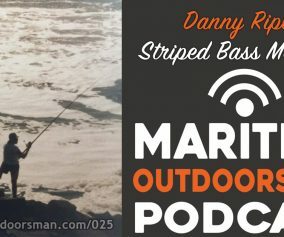 for that on your iPhone and it finds you unbelievable fishing spots…..like the falls on the Herbert River…to the caves and other rivers from all over the world. Thanks for listening and for the iPhone tip. Nothing like combining two great hobbies into one great day 🙂 Tight lines!